In 2006 I wrote a blog post about a relatively new technology being harnessed by journalists and other storytellers: the ABCs of podcasting, which was published in Philanthropy News Digest’s Sustainable Nonprofit column. The term “podcasting” first entered the English lexicon in 2004 when it caught hold as a way to distribute audio content. Now, more than a decade later, podcasting is stronger than ever. Over the last ten years a number of excellent podcasting projects by nonprofits, foundations and social sector consultants came to life. Many of the projects had a strong run but due to funding or capacity limitations have not had the staying power of shows with reliably large audiences, such as well-known radio programs like National Public Radio’s Fresh Air. In the nonprofit sector, high quality programs with large audiences continue to thrive with support from a mix of grant funding, sponsors, and contributions individual donors and listeners. In this post I share resources to help you explore podcasting as a communications tool, and I share a few of my favorite podcasts for staying on top of my work, news, books, and more. If you are not familiar with how to subscribe to podcasts, then check out this recent primer from the New York Times: A Beginner’s Guide to Getting Into Podcasts. 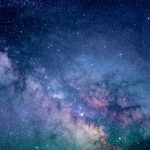 The Communications Network, a professional network of foundation and nonprofit leaders devoted to communications for good, offers many resources for storytelling and an annual conference called CommNet. A CommNet18 session featured podcasting for social change (link to session notes). You can also listen to keynotes and other talks from previous conferences as podcasts (some of which are available on the app you use to download podcasts). I regularly listen to a number of the well known podcasts, professionally produced by National Public Radio and other media organizations such as KQED, PRI, PRX, Vox, Radiotopia and The New York Times. Relatively new and noteworthy additions to these networks include Radiotopia’s Ear Hustle, KQED’s The Bay, NPR’s Code Switch and Vox’s Future Perfect. This past week I attended a live recording of the Climate One podcast at the Commonwealth Club in San Francisco. The topic, Donor Power: The Influence of Climate Philanthropy, drew a full-house (the podcast will become available in March 2019). Now into its second decade, Climate One has found a sustainable revenue model with support from corporations, foundations, nonprofits, individual donors and volunteers. In 2017, I participated in a workshop hosted by the Solutions Journalism Network with guest speaker Lauren Schiller. 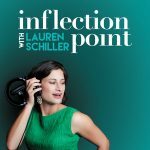 Lauren hosts the “Inflection Point” podcast, a nationally syndicated weekly public radio show and podcast about how women rise up. This is a real good time to be in the business of podcasting about women in leadership. 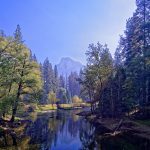 I especially liked an episode in which she interviews Betty Reid Soskin, the nation’s oldest National Park Service ranger, who can be found giving talks to groups at Rosie the Riveter in Richmond, California. Tiny Spark is an independent news program and podcast that reports on philanthropy, nonprofits and international aid. 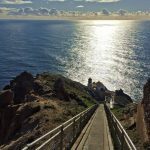 It was acquired by The Nonprofit Quarterly in 2018 and is supported by a grant from The William and Flora Hewlett Foundation. The series has been featured by NPR, The Chronicle of Philanthropy and The Guardian. Founder and managing editor, Amy Costello, is a veteran broadcast journalist, who spent nearly two decades reporting on human rights issues and was the Africa Correspondent for PRI’s The World, a co-production of the BBC World Service, PRI and WGBH Boston. Episodes explore topics like diversity in cultural institutions and museums in the United States, whether artists benefit from charity auctions in which they donate their work to raise funds for causes, and what has made successful social change campaigns successful. 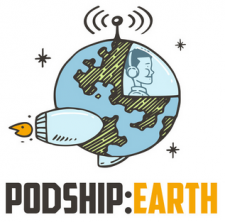 At the Bay Area Open Space Council conference in 2018, one session featured: “Hot topics on the environmental beat” where panelist Felicity Barringer told us about Podship Earth. This new podcast is hosted by Jaren Blumenfield, who was the regional administrator of the US Environmental Protection Agency from 2009 until 2016, under President Obama. 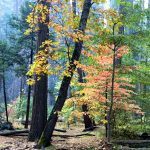 After leaving the EPA he thru-hiked the Pacific Crest Trail from Mexico to Canada in 2017, so you will find anecodotes from that experience sprinkled throughout his series. Entertaining and informative, the weekly episodes take you into the field with environmental experts, activists, and other leaders. 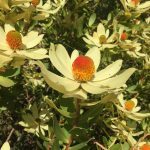 In support of my work for San Francisco Botanical Garden, I discovered the “Cultivating Place” podcast. Through interviews with experts, Jennifer Jewell, gardening writer and educator, explores current topics on natural history and the human impluse to garden. 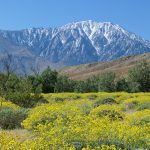 Episodes I recommend include: Soul Fire Farm – Ending Racism in the Food System, Georgia O’Keefe’s Abiquiu Garden, and Cultivating America – The Smithsonian Gardens, to name a few. 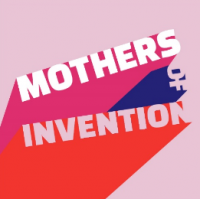 Mothers of Invention is a highly unique and entertaining show about women from around the world who are driving powerful solutions to climate change. The podcast features former Irish President Mary Robinson and comedian Maeve Higgins who “celebrate amazing women doing remarkable things in pursuit of climate justice.” The new show kicked off with six episodes in 2018 and will continue in 2019 with a new series, which is now in the works. The new podcast first caught my eye in an Inside Philanthropy article, which named San Francisco-based Compton Foundation as one of their supporters. I also read about the new podcast in the Project Drawdown e-newsletter, which announced their participation in episode 5: Against the Grain, an all-you-can-eat investigation into food and its connection to climate. I also really enjoyed episode 6, a special dispatch from Climate Week in New York City, where Mary Robinson was also attending the United Nations General Assembly. Australian Broadcasting Corporation’s Radio National (also called ABC or RN) offers many high quality podcasts including The Book Show, The Bookshelf, Big Ideas, All in the Mind. 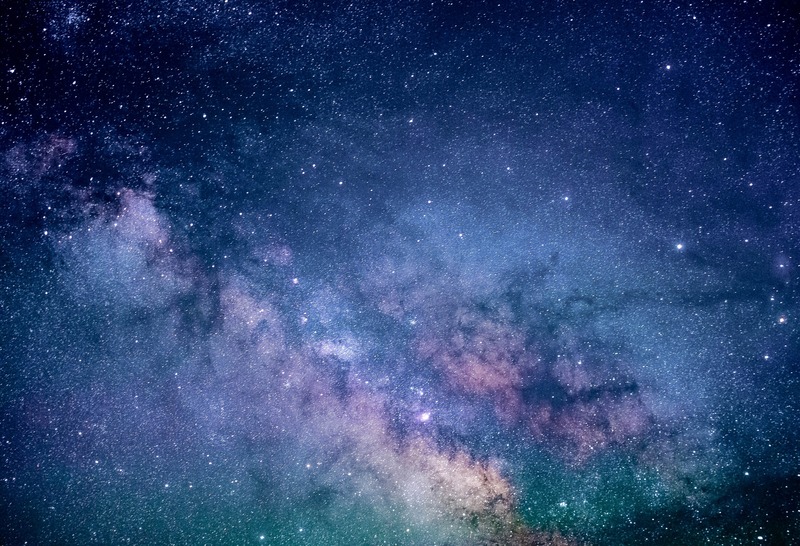 The through-provoking content features topics of international interest across arts and culture, business, current affairs, health, science, technology, and Indigenous cultures, among other topics.